Who doesn’t want to be a princess for a day…or even a lifetime. Thankfully, you can be just that if you have a princess cut engagement ring. Now, you know we love a fancy cut stone so we are thrilled to be able to delve into this cut a bit more and help you be a princess for a lifetime. 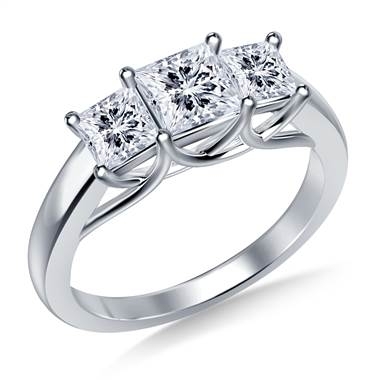 The modern princess cut is fairly new when compared to some other cuts. It wasn’t created until 1961 when a diamond cutter named Arpad Nagy began to call his cut a princess cut. 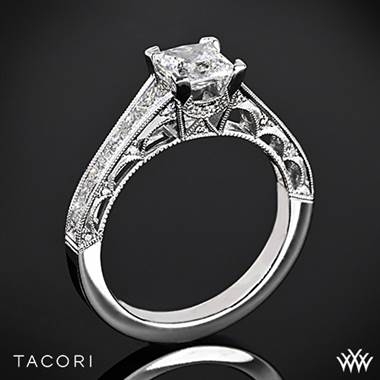 His princess cut gained fans quickly as the 58 facets were designed to showcase the stone’s brilliant sparkle similar to a round brilliant diamond. 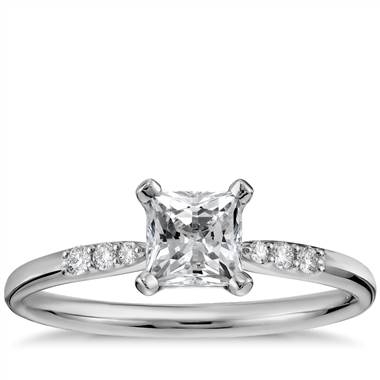 This brilliance is what the princess cut is known for. It also comes with the added benefit of more bang for your buck. That’s right, you can have a stone with just as much sparkle as a round diamond for less. That’s because a 1 carat princess cut retails for .80 carat round diamond. You get equal brilliance for a lower cost. It’s a win-win! All that sparkle comes with a drawback however. The princess has some sharp corners which makes it prone to chips and breakage. This is one cut you have to treat like a literal princess. To avoid chipping and heartbreak, we recommend you select a ring with prongs that cover the edges. 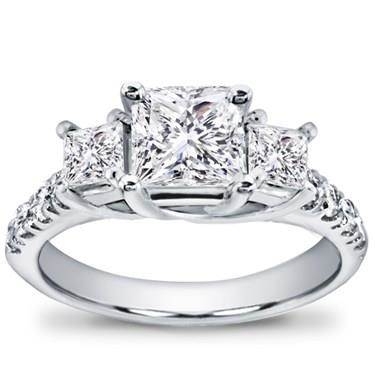 This way it will increase the stone’s durability and you can treat it like you would any other engagement ring. Many brides will describe their wedding day aesthetic as “princess-for-a-day,” but we say why not reach for the stars and be a princess for a lifetime?! Princess cut diamonds are beautiful, brilliant and cost less than a round diamond of a similar carat. So move over Meghan Markle, a new batch of princesses are on the horizon!